‘Tumhari Sulu’ is one of the most talked films released in Hindi last year. The Vidya Balan starred, upon releasing in 2017, gone onto be a sleeper hit, with receiving a number of awards and recognitions. Directed by Suresh Triveni, the movie portrayed Vidya Balan as the titular character, an ambitious housewife, who turns radio jockey. We are no longer unaware of Jyothika being roped into play the lead role in the Tamil remake of ‘Tumhari Sulu’. To be directed by Radha Mohan, the whole Kollywood was awaiting to see how Jyothika was going emulate the performance of Vidya. We don’t have an idea about the plans of the team. However, we are slowly getting a picture of how the movie would look like. Reportedly, actor Vitharth has been roped in by the makers of the Tamil remake of ‘Tumhari Sulu’. The actor is going to appear in the husband role to Jyothika. He would be essaying the role, which was enacted by Manav Kaul in the original version. Manav earned tremendous response for his portrayal of Ashok Dubey. While speaking about roping in Vidharth, director Radha Mohan commented that the role would be safe in the hands of the actor. He added that Vidharth, was someone, who could understand the emotions of the character. Radha Mohan was of the opinion that the role wasn’t of a regular hero’s type. Well, the actor, when approached by the makers, has readily accepted the project. The makers of the movie stressed that the role was different from the regular ones: an understanding and helpful husband – who doesn’t show heroism. 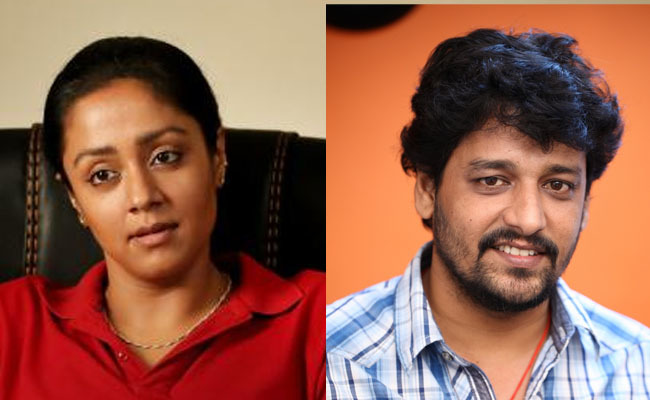 Earlier, Vidharth has made a cameo appearance in Jyothika’s ‘Magalir Mattum’. Since the move rides heavily on the on screen chemistry between the characters of wife – husband, the rapport between Jyothika and Vidharth has got a great deal in the project. Meanwhile, makers said that they would soon officially announce the project, once the rest of the cast and crew members were finalized.